Home > Medical malpractice > Nursing malpractice > Michael Jackson: A Demerol Death? 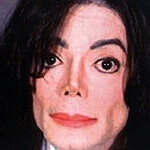 Reports Did Michael Jackson stopped breathing shortly after receiving an injection of Demerol. Attempts to resuscitate him were not successful. Was it the combination of medications or the Demerol which caused him to stop breathing? Toxicology reports are pending. Demerol and Vistaril twice a day- Demerol is a pain reliever, and Vistaril potentiates or accentuates the effects of Demerol. Dilaudid 3 mg twice a day- Dilaudid is one of the strongest narcotics on the market. It is unusual to see a patient taking two antidepressants and even more unusual and dangerous to take three narcotics. The danger lies in the accumulation of the medications in the body. Reports on the Internet also emphasize that the singer had lost weight and was skeletal-thin. The risk of overdose increases as weight loss occurs if the dosage is not also decreased. Demerol is a narcotic pain reliever that used to be given with regularity in hospitals. (It is still acceptable to use Demerol in the recovery room for shivering.) It has fallen out of favor for a few reasons – there are more effective and safer pain relievers on the market and secondly, it is poorly tolerated by elderly people. Visual hallucinations may occur in this population. I recall my mother telling me that when she received Demerol after surgery when she was in her mid 70s. I advised her to request a different medication. She saw moving figures on the hospital room wallpaper. Days after her last Demerol shot, as she was being driven home, she saw icicles hanging in the sky. Another danger: the metabolites of Demerol can accumulate, and cause oversedation and death. What you can do as an attorney involved in a medical or nursing malpractice case involving a potential overdose from Demerol (or another narcotic): Look at the weight and age of the patient. Ask a legal nurse consultant to do a timeline. This person will need to review the medication administration records and the narcotic sign out logs to determine how much Demerol the patient was given for pain control. Get a pharmacologist and possibly a toxicologist involved to look at the connection between the Demerol and the death. I have lectured about the dangers of oversedation. Several years ago I was an expert witness for the plaintiff in a case that revolved around oversedation from Demerol. The case resulted in a settlement for the family of the patient. The article on Med League’s blog includes the actual facts of the overdose. Susan Hill (fictitious name) was wheeled up to her postoperative medical-surgical room at 11:30 AM. Mrs. Hill weighed 120 pounds; she was recovering from a hysterectomy. Her postoperative medications included Demerol (meperidine) 50-100 mg IM every 3-4 hours PRN (as needed), and Phenergan 12.5 mg IV every 6 hours PRN for nausea. The nurse assigned to the patient until 7 PM administered 50 mg of Demerol at 12:30 PM and 100 mg at 2 PM and 5 PM. Phenergan 12.5 mg was given IM at 12:30 PM, 2 PM and 5 PM. The nurse administered Phenergan to potentiate the action of Demerol. Read more. Pat, from a non-medical person’s perspective, I found the information in this ‘post’ to be very informative. Thank you. Michael Jackson’s death was a huge surprise for anyone who loves music, though looking back at his life it was possibly not so shocking. The child molestation charges brought upon him sparked the beginning of his spiralled decline in his health. Once he began to rely on prescription medicines to simply get by, that was when there definitely wasn’t going to be a happy ending, in my humble opinion.